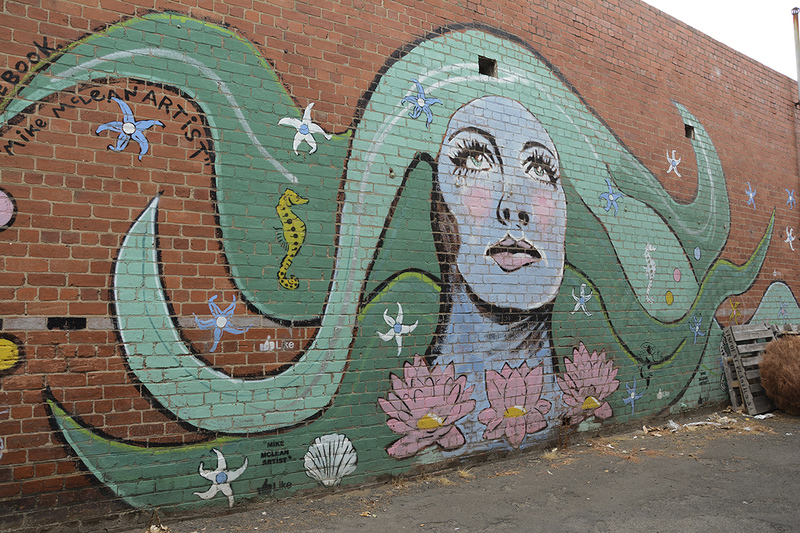 A recent visit to Geelong proved disappointing. Apart from one or two outstanding pieces in the city there’s not a great deal to see there at the moment. 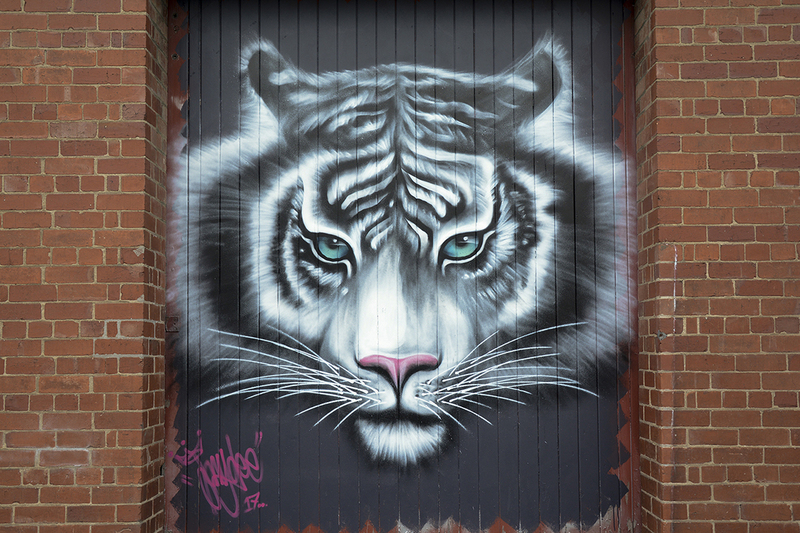 The tiny area around Minns Lane has a few lively pieces but there’s not much else in the central area. 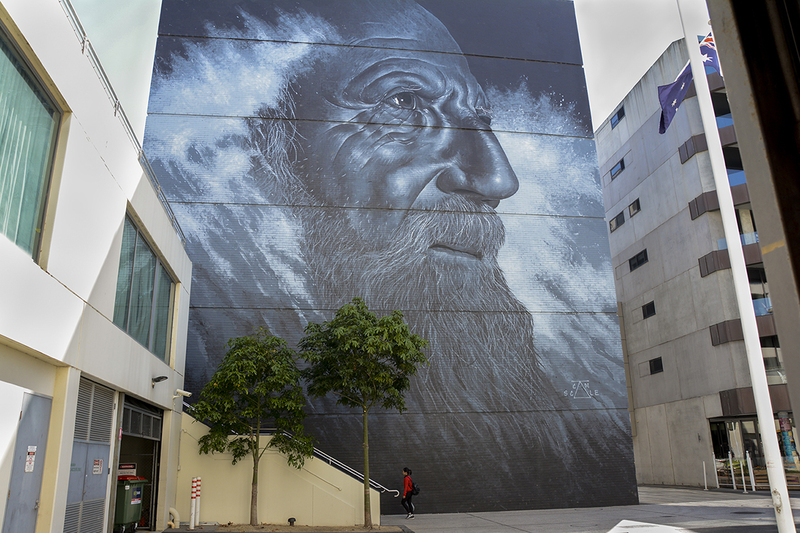 The one exception is a superb large-scale portrait of an elder on a wall in Steam Packet Plaza. It’s a magnificent piece that shows what can be done in a small area when a suitable site becomes available. 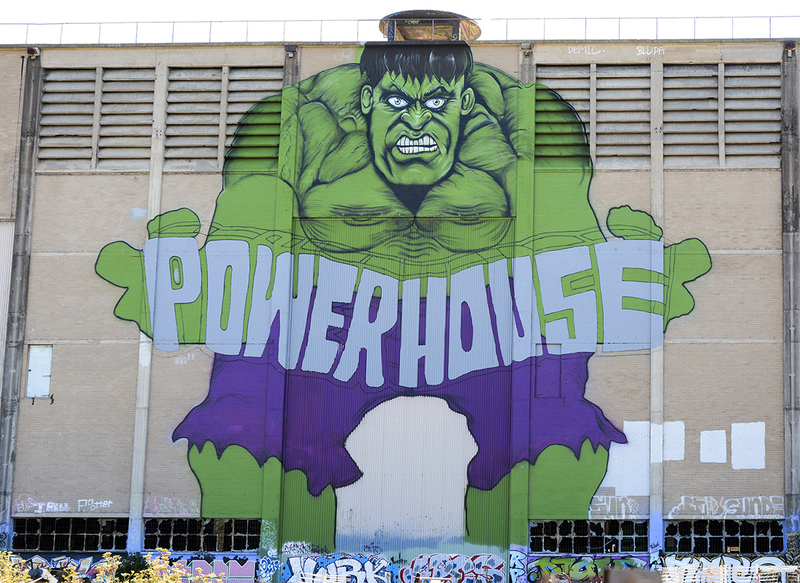 Naturally enough, anyone interested in street art and heading for Geelong will want to take a look at the Powerhouse. 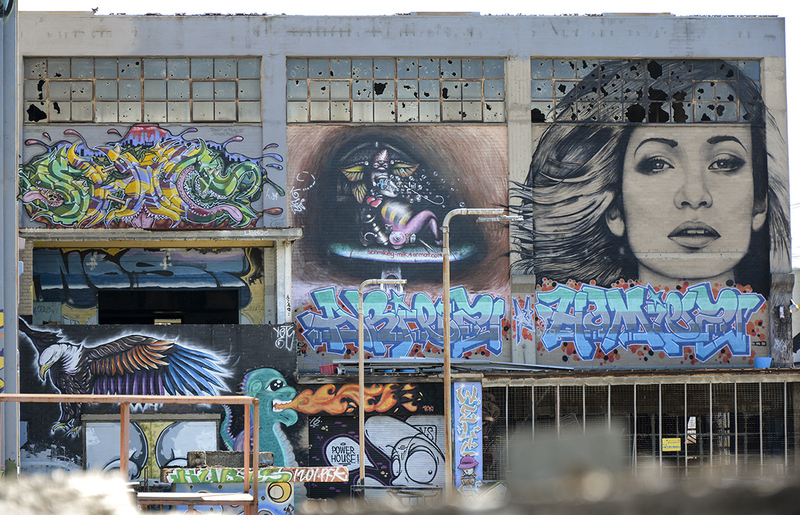 It’s situated on an isolated semi-industrial zone some distance from where most visitors would go. 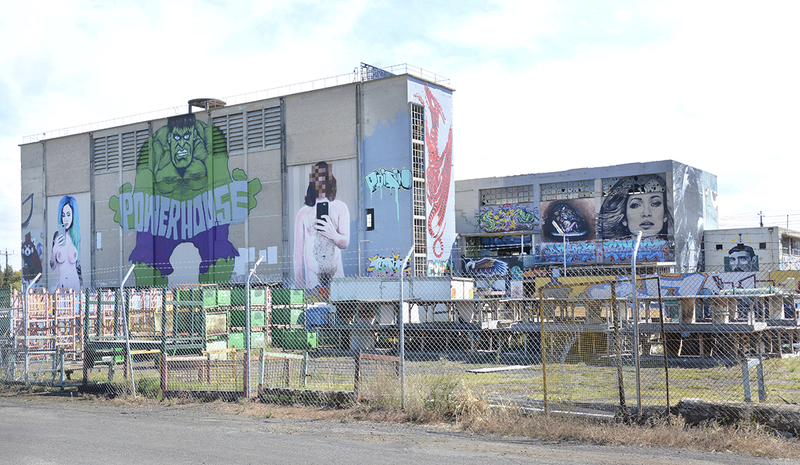 Images from the Powerhouse are easy to find on the Internet but, unfortunately, not in Geelong. When we rocked up one sunny weekend morning – a perfect time to visit – we were confronted by locked gates and a phone number. 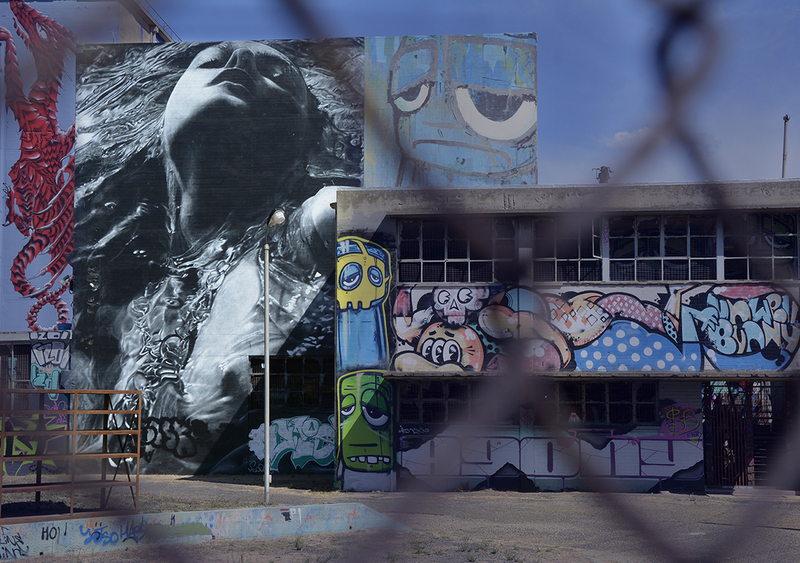 When we called it we were told that the people who’d turned this arid industrial place into a vibrant venue for street art had been waiting for a year for the city council to allow them to admit visitors! There’s a consolation prize of sorts at 20 Brougham Street, just around the corner from the new university buildings in the city. 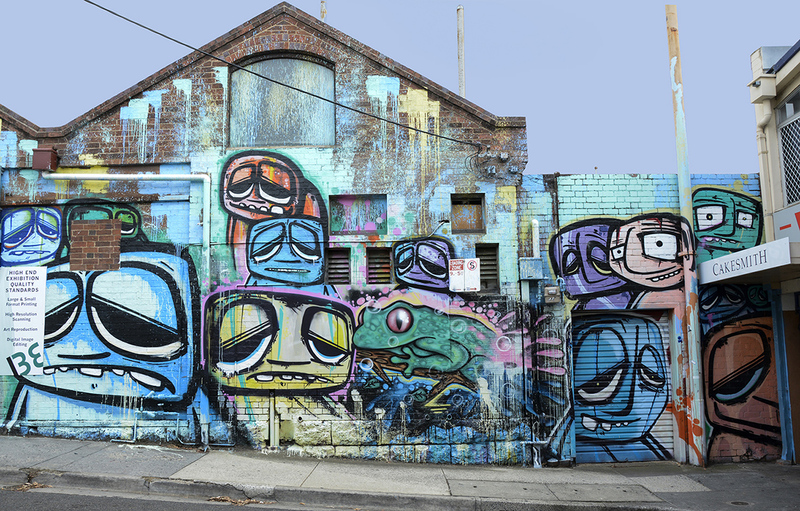 It’s billed as ‘Australia’s largest legal Street Art precinct, studio and gallery’ and is open seven days a week. It was empty when we looked around but there was plenty of evidence that a variety of artists were working there. 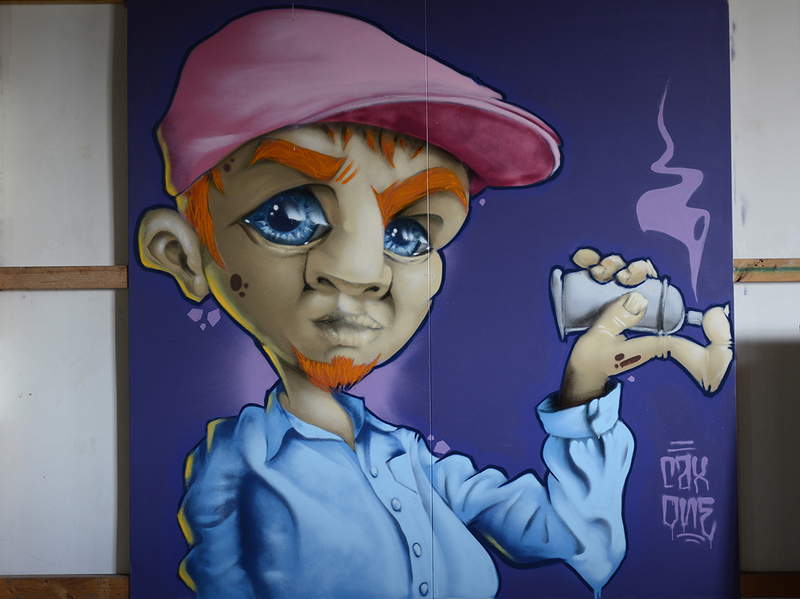 One piece that we really liked was the image shown here of a sparkly-eyed dude with a blue shirt, orange hair and a pink hat. But, to be honest, most of the works on display were not that good. Still, artists need somewhere to practice and it looked as though that was the main purpose of the place. Geelong has invested in re-developing the waterfront, parts of which are now much more attractive than they were years ago. As part of this, no doubt, someone’s bright idea was to encourage the ‘pillar folk’ to proliferate. These are rather twee, somewhat cartoonish figures brightly painted on simple wooden poles set at intervals in the ground. You could easily see 20 or 30 of these on a short walk along the esplanade. They certainly add a bit of colour and humour to the beachfront but lack the impact, originality and appeal of Street Art. It’s a pity that the city does not seem to realise that there’s plenty of room for both.